Few Premier League managers will be as glad to return from the international break as Arsenal boss Unai Emery, who will have appreciated a respite for his players while also wanting to keep up their momentum. The Gunners are undefeated in their last 16 outings, but Bournemouth have been a tricky host in their short rivalry, with each side winning, drawing, and losing once at the Vitality Stadium. Arsenal have won all three games held at the Emirates Stadium, as well as a 3-0 League Cup win at the old Highbury (the seventh and only other clash between these teams). The Cherries’ sole win over Arsenal just so happened to be their most recent meeting in January, when Callum Wilson and Jordon Ibe each scored to come back from a Hector Bellerin opener. Bournemouth will fancy their 33% chance at victory—as far as the history books indicate—or at least more so than Emery’s side. Arsenal are enjoying their longest unbeaten streak in all competitions since 2016, when Arsene Wenger led the Gunners to 19 without a loss between August and November. Ironically, Bournemouth were the 19th result on that list and lost 3-1 at the Emirates before Arsenal fell at home to Southampton in the League Cup three days later. Now, the Cherries can end the Gunners’ streak on home soil, where they’ve had far more success against this foe. Arsenal have scored five times in three meetings at home to Arsenal in the Premier League—an average of 1.66 goals scored per game—and conceded six in the process (two per game). 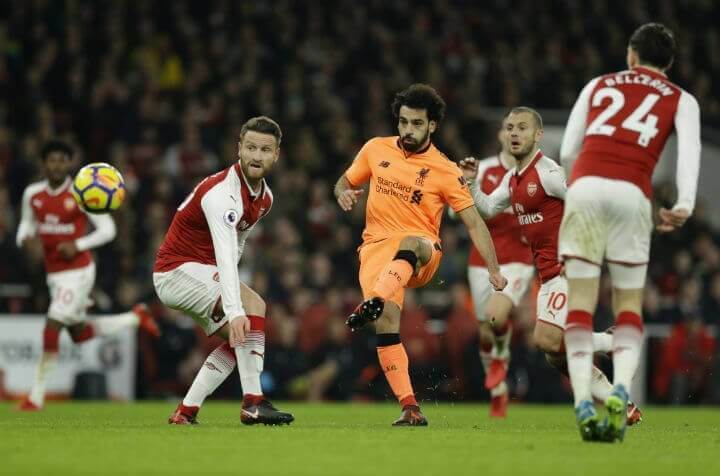 In contrast, they’ve bagged just once in three visits to Arsenal in the league (0.33 goals scored per game) and conceded an average of 2.66 goals per game (eight total). Eddie Howe’s men scored on average a goal-and-a-half more against the Gunners when they’re on the south coast, and it’s plausible that sea air could power them to halt Arsenal’s run. Bournemouth have never kept a clean sheet against Arsenal, whose January defeat to this opponent was the first time in seven clashes that they’d failed to score at least twice. Emery will seek to transform Arsenal’s luck at the Vitality, where Bournemouth can tip their rivalry in their favor, as well as extinguishing the Gunners’ undefeated patch in two years.